Since 1932, the LEGO Group has been making a reputation for delivering quality products and experiences that stimulate creativity in children around the world. Today, LEGO makes software, watches, and clothing, as well as operates LEGOLAND them parks, but its core products are still the plastic bricks that made it famous. 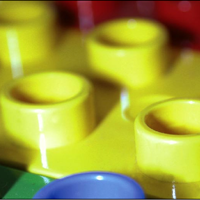 More than 1.4 million LEGO parts are produced every hour making up the 100 million LEGO sets produced annually. With this many parts, every part and every change, even small changes in material usage, have a tremendous impact on costs. Need to maximize safety, while minimizing time-to-market and costs.